On the second day of Sanja festival, around 100 Mikoshi from 44 districts gather at Sensoji temple. 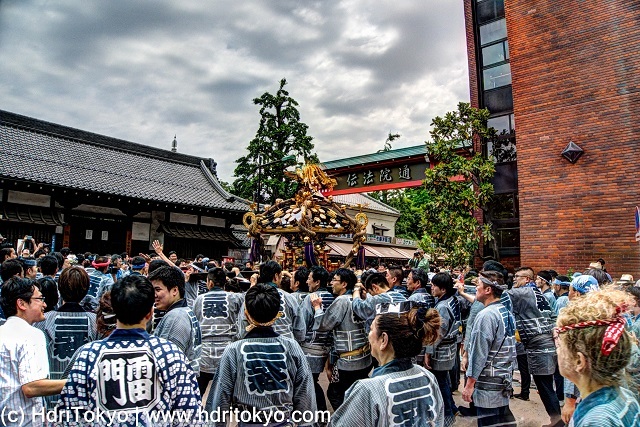 One by one,those Mikoshi are purified by Shinto priests at Asakusa shrine, and carried again to parade through their neighborhood. Shooting date : May 14, 2016.